Mission Viejo, California real estate has a lot going for it, especially if the idea of golfing at a premier golf course in your neighborhood appeals to you. 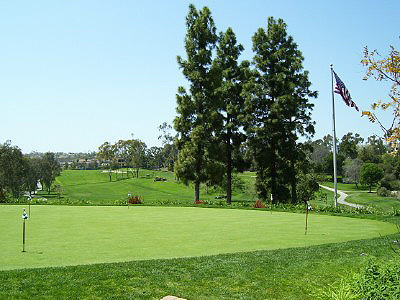 Mission Viejo has three golf courses—two public courses and one private course—each with something unique to offer, and all of them close if you call Mission Viejo home. Arroyo Trabuco Golf Club was recently ranked by Zagat as one of Orange County’s top public golf courses. Located near Saddleback college in Trabuco Creek, Arroyo Trabuco offers a 240-acre course designed by Casey O’Callaghan and PGA professional Tom Lehman. The par 72 course is a verdant oasis tucked away amongst the rugged hills of the Ladera Ranch Land Conservancy. The club also offers a driving range, a bar and grill restaurant called O’Neill’s, and a banquet hall for weddings and other events. Green fees run in the sixty-dollar range during weekdays, and in the eighty to ninety-dollar range on Fridays and weekends. Discounts are offered for twilight golfing and super twilight golfing. 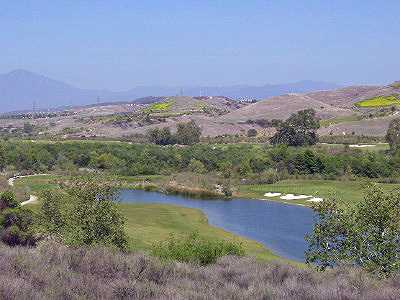 Casta Del Sol is Mission Viejo’s smaller public course. 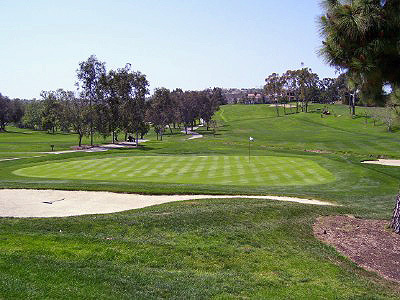 Located near Lake Mission Viejo, it is a challenging executive course (18 holes, par 61) designed by Ted Robinson. Par-3 holes range from 122-235 yards, while par-4 holes are up to 317 yards in length. Casta Del Sol also has its own restaurant and bar, open from 8 a.m. to 10 p.m., daily, and available for event and seminar bookings. Green fees for the course run in the twenty-dollar range during weekdays and the thirty dollar range during weekends. Like with Arroyo Trabuco, discounted rates are available for twilight and super twilight golfing. The Robert Trent Jones Sr. 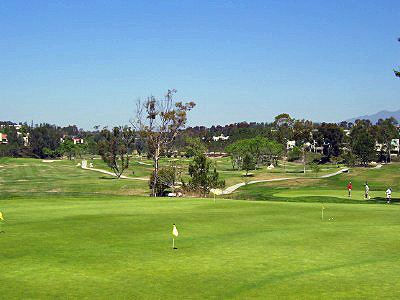 Golf Course is Mission Viejo’s private golf course, located inside the Mission Viejo Country Club. It is a 165 acre course designed by Robert Trent Jones Sr. and known for its unique terrain and hole placement. The course has hosted numerous prestigious events, including the Southern California Open, Southern California Match Play Championships, the Trans National Women’s Amateur Championship, and the US Open qualifying rounds. Included on-site are all the fine amenities a country club has to offer, including elegant locker rooms, restaurants, tennis courts, and a swimming pool and spa, just to name a few. You have to be a member in order to golf this course, or become a “Preview” member to test out the facilities for a few months. Whatever your preference in golf courses is, whatever budget you have, you can’t go wrong with Mission Viejo, and with the help of a Mission Viejo realtor you can be in a home near your favorite golf course.